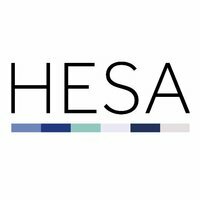 HESA collect, process and publish data about higher education (HE) in the UK. They publish data on all aspects of the UK higher education sector, but this research group is primarily interested in the publicly available environmental information which is collected as part of the Estates Management record. This data was collected for the first time in 2009/10 and is submitted annually by universities across the UK. The free data includes information on providers' grounds and buildings, water and energy usage, waste management, transport and other environmental measurements. For more information please visit their website here. HESA is a trusted source of HE data and vital to enable us to monitor the impacts of the university sector in the UK. This research group has been established to enable the University of Worcester to add their environmental data to WikiRate, which makes them one of the first university’s in the world, and the first in Europe to contribute their data to this platform.